This one is an easy one for me, as I actually have a photo that I had previously titled as “Solitude” a few years ago. I know the idea of this class is to shoot fresh images each day, but I like this image so much that I cannot imagine finding anything better to represent the topic. This photo was shot in Southern Morocco in 2010, and is a great example of being “in the moment” and not over-thinking the mechanics of the shot. I had just exited the jeep that took us to this large dune, and was preparing to make my way to the pinnacle to enjoy the view of the surrounding desert from on high, when I looked up. 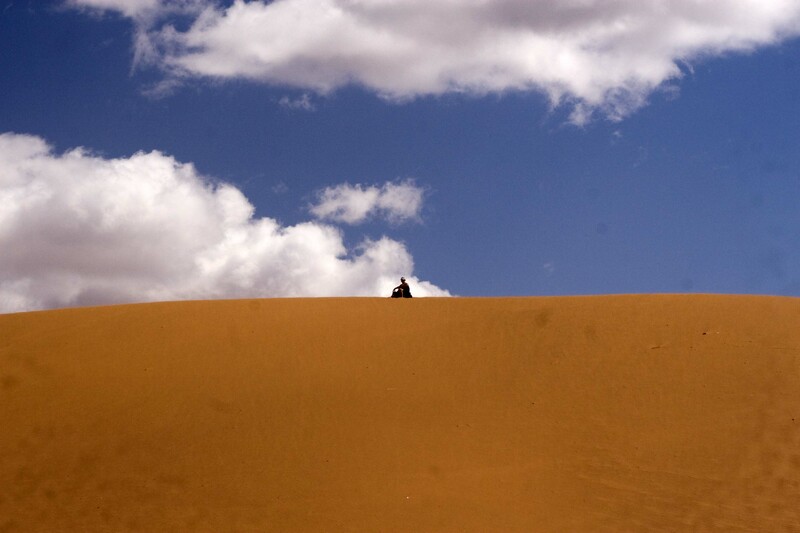 Poised at the top of the dune was a solitary person taking in the landscape from that high vantage point. Point, shoot, done. One of my all time favorite photos, completely serendipitous.